- To ensure there is a juggling convention, once a year, somewhere in Switzerland. 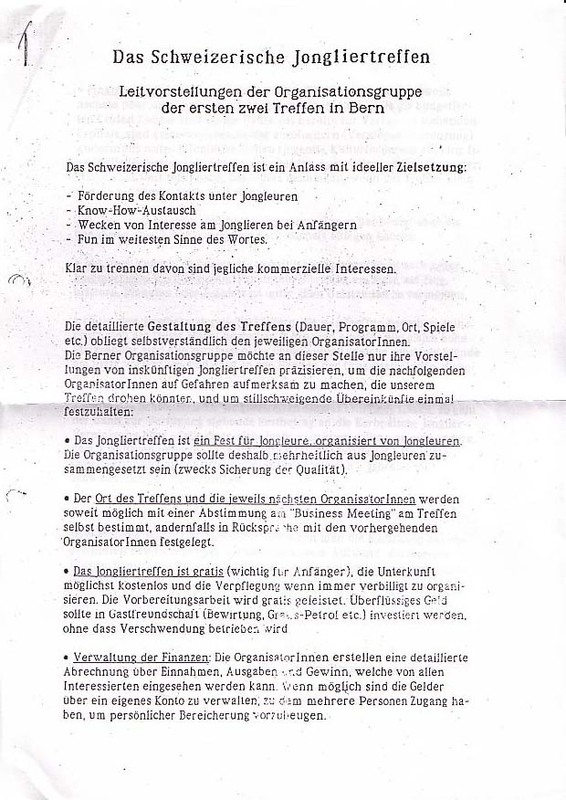 # Statuten (in German) of the Swiss Juggling Association. # Protokoll (in German) of the business meeting held in Uster in septembre 2016. # Protokoll (in German) of the business meeting held in Frick in septembre 2017. # Protokoll (in German) of the business meeting held in Lucern in septembre 2018. 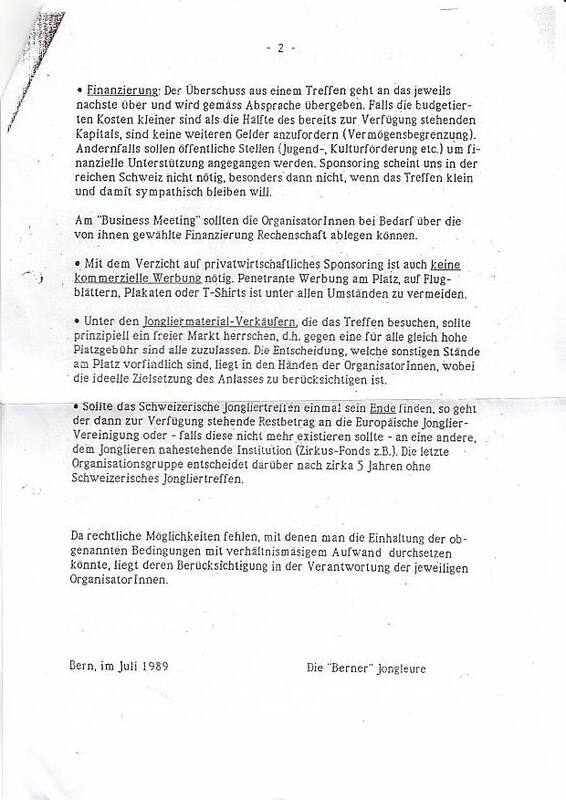 # Here are copies of the two pages in german of the "Leitvorstellungen" made by Bruno Saxer in July 1989 to give a direction to the following Swiss Juggling Conventions.